Applying for Swiss citizenship while holding a légitimation card is still possible before the end of 2017. From January 2018, the naturalization law (LN) will change and applicants holding a C permit only will be considered for citizenship. Therefore, expatriates planning to obtain the Swiss citizenship and having lived in Switzerland for more than 12 years are strongly encouraged to apply before the end of the year. If you have been living in the country for the past 3 years without an interruption of more than 6 months within the past 5 years and have lived the past 2 years in the canton of Geneva, you are entitled to apply to Swiss citizenship provided you fill up all the different requirements. In order to apply before the end of 2017, you will need to provide a recent original copy of a non-criminal proceeding attestation, a tax certificate showing that you are up to date with your taxes or the proof of any UN tax exemption, a recent original copy of a non-prosecution attestation from the canton, a copy of your current lease, a work certificate and one recent payslip, the copy of your légitimation card or Ci permit, the official yellow naturalization form stamped from the Office Cantonal of Population (OCP) with the names of 5 Swiss references, the original copy of the French test certificate A2, the Swiss history and knowledge test certificate, an original copy of your civil status certificate legalized and translated if not in English (issued from your Swiss commune of residence), your marriage certificate if you are married, the copy of parental authority arrangement if you have children and are not married or if you are divorced and finally a photo passport format. Once you have reunited all these documents, you can file to naturalization at the Office Cantonal of Population before the end of December 2017. You will have to pay the naturalization fee (CHF 1250.- for an adult, CHF 2000.- for a couple, CHF 300.- for a minor child). The authorities will then proceed to check the validity of all your documents, will investigate your case and will then interview you. The process takes approximately 2 years before receiving an answer from the authorities. Once your application is authorized, a federal tax will have to be paid. After that, your commune of residence will issue a positive or negative notice, the canton will examine your application and finally the Confederation will decide whether to grant or not Swiss citizenship. The process is long and challenging, however acquiring Swiss citizenship provides a strong advantage for expats aiming to settle permanently in Switzerland. From January 2018, it will no longer be possible to apply whilst holding a légitimation card. Permit C only will be accepted. 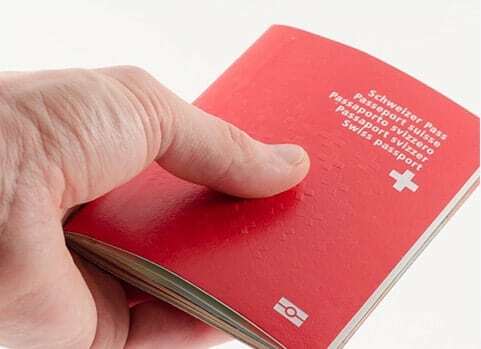 Therefore, UN staff and all other expatriates will first need to obtain a C permit before being able to consider Swiss citizenship. Currently, having lived in Switzerland while holding a légitimation card or Ci permit does not qualify to a C permit, except in some specific cases such as retirement or for children having spent most of their lives in Switzerland.